Oil price reporting agency Argus Argus has launched low-sulphur fuel oil (LSFO) price assessments for the ex-wharf and delivered bunker markets in Fujairah. 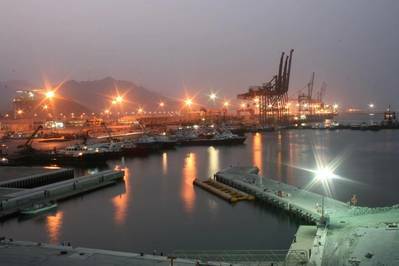 The Argus LSFO 0.5pc sulphur ex-wharf price in Fujairah will assess 4,000-7,000t barge-size cargoes of product with a maximum viscosity of 380cst for deliveries taking place within 5-15 days from the trade date. The Argus LSFO 0.5pc sulphur delivered bunker price in Fujairah will assess deliveries taking place 4-12 days from the trade date for shipments of 500-3,000t with a maximum viscosity of 380cst. In the absence of physical trade indications, Argus will assess the value of the product based on indicative numbers provided by a range of market participants.